Shortly after 1911 Albert immigrated to Australia. He was in search of a new life as his mother had died and his father had remarried. In 1914 Albert worked as a farmer in Nar Nar Goon, Victoria. He then moved to “Primrose Park”, Beaconsfield. Albert was mustered as a Gunner on the 25thMarch 1916, he was then promoted to Bombardier in May 1916. 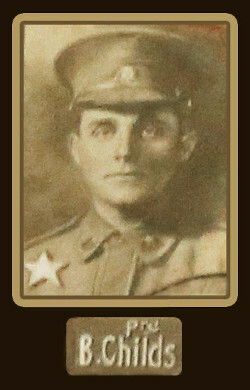 He received gunshot wounds to his left thigh and scalp during action on the 4th August 1917. Died on the 5thAugust 1917 from the wounds. Buried on the 5th August 1917 at the Adinkerke Military Cemetery, De Panne, West-Vlaanderen, Belgium.